POS – Place of Supply of Goods or Services – State Code to be mentioned. 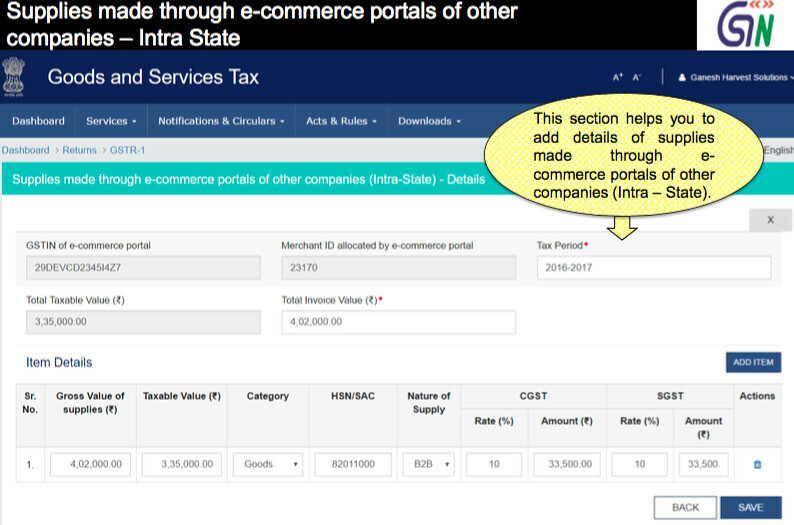 GSTIN:GST Number (GSTIN) is a unique 15 digit number which is allotted to the assessee at the time of filing an application for registration for Goods & Service Tax. Just like PAN Card No is required for payment and filing of Income Tax Returns, similarly GSTIN is required for payment and filing of GST Returns.. The GSTIN of the taxpayer will be auto-populated at the time of return filing. 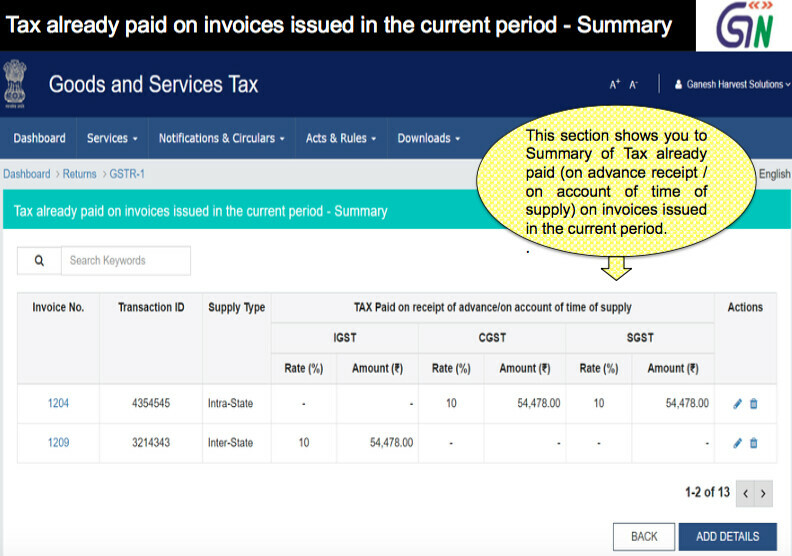 Name of the taxpayer: Name of the taxpayer will also be auto-populated at the time of logging at the GST Portal. Gross turnover of the taxpayer in the previous FY: This information is required to be filed only in the first year of GST implementation. Next year onwards it will be auto-populated as carried forward balance of the previous year. Taxable outward supplies made to registered persons (including UIN-holders) other than supplies covered by Table 6: This head will hold the information about the details of all taxable supplies made by the registered taxable person. 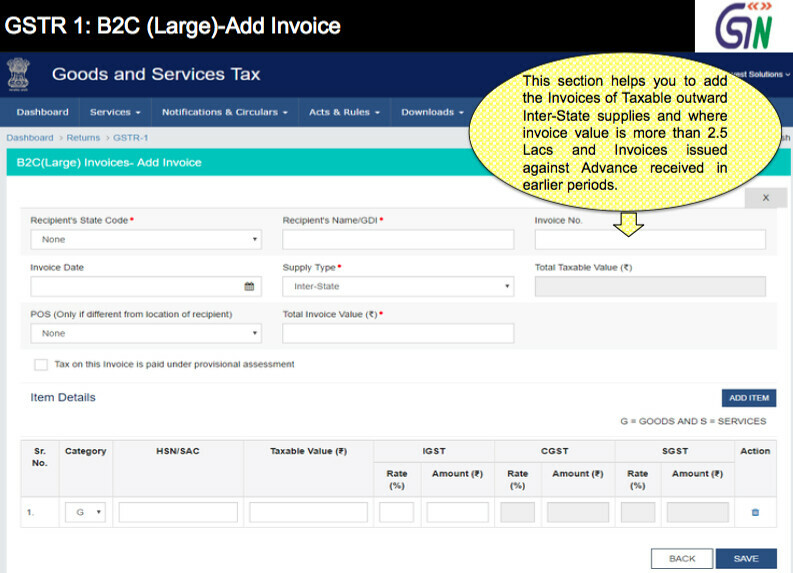 This head will cover complete details of Normal Taxable Supplies, Supplies under Reverse Charge, and Supplies by way of an E-Commerce operator. 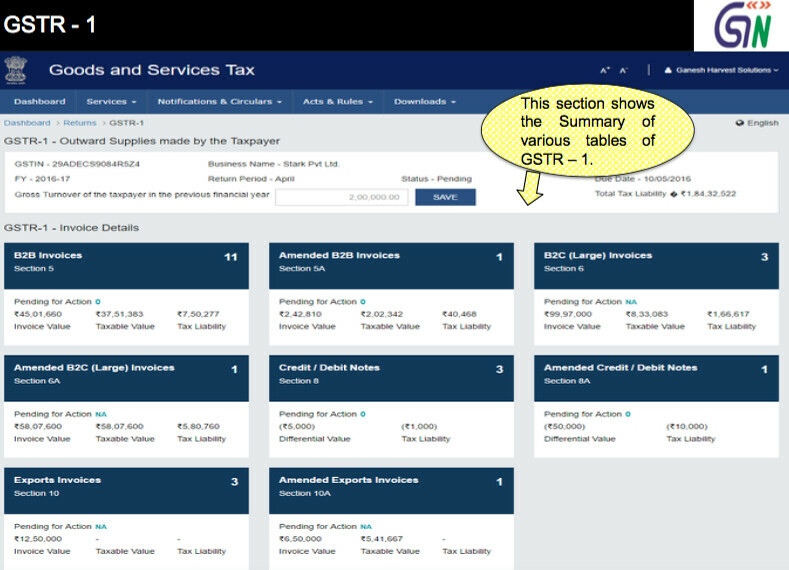 Step 3 : – Now click on “Service Menu” and then click on Returns and you will reach at GST Returns Page This section shows all the services available on the GST portal. You can select one to proceed further. 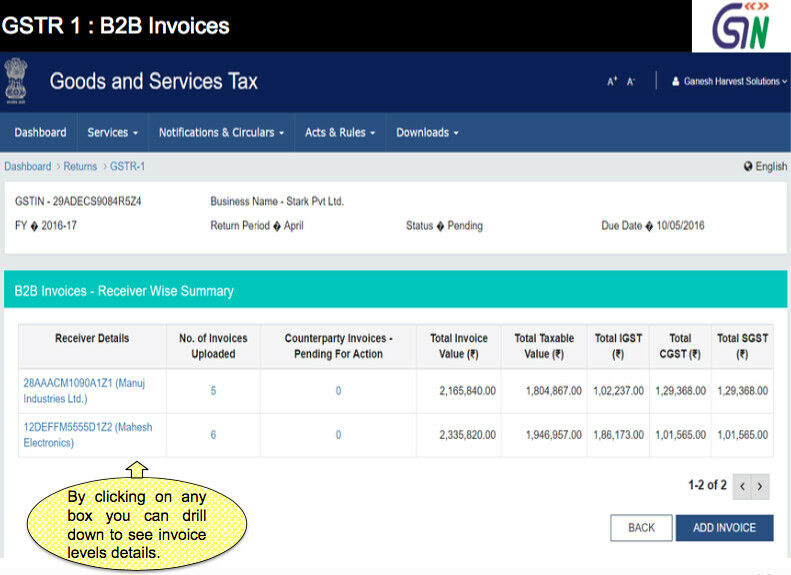 By clicking on any box you can drill down to see invoice levels details. 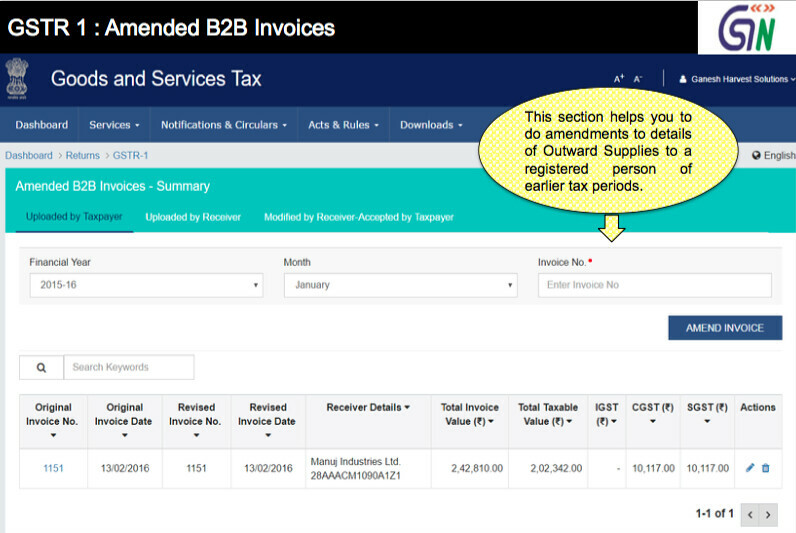 This section helps you to add the Invoices of Taxable outward Inter-State supplies and where invoice value is more than 2.5 Lacs and Invoices issued against Advance received in earlier periods. This section shows you the summary of Credit/ Debit Notes & helps you to add Credit/ Debit Notes and also help to amend Credit/ Debit Notes. 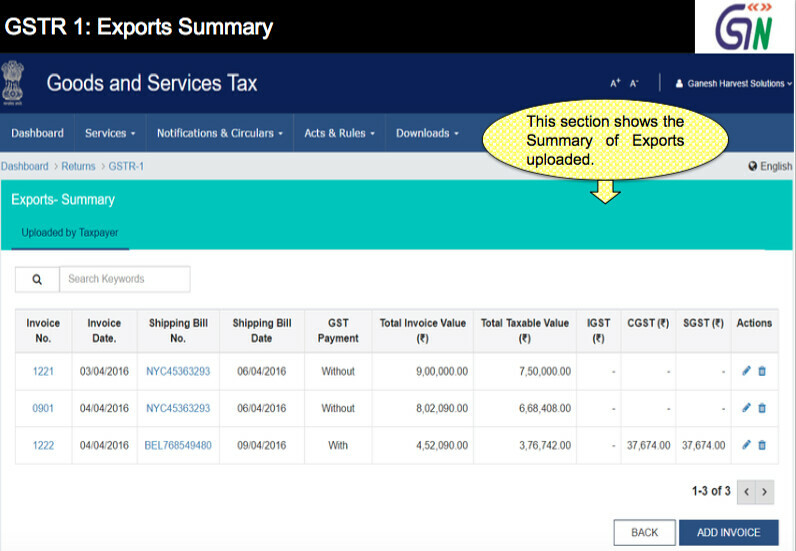 This section shows the Summary of Exports uploaded, This section also helps you to add Export Invoices Details and you may amend the Export Invoices details. 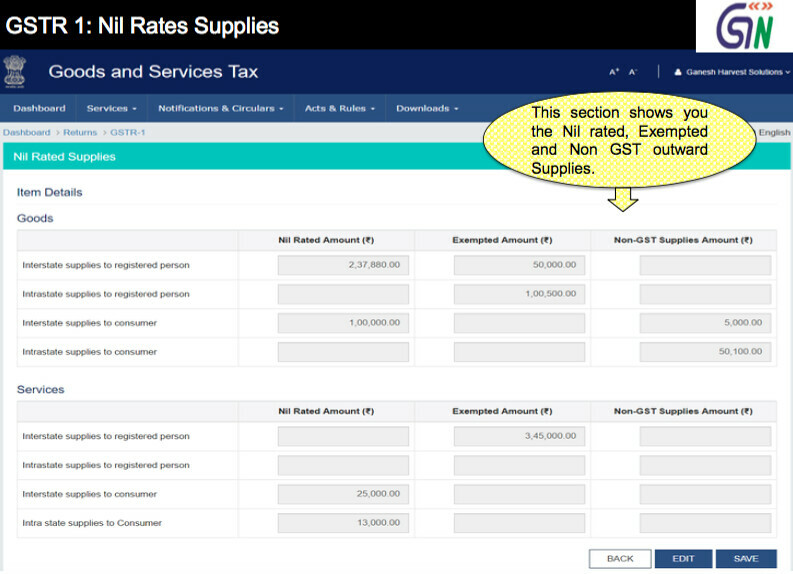 This section shows you the Nil rated, Exempted and Non GST outward Supplies.